Insects are everywhere, and they are a central force of life on Earth. There are more insects than all other animals combined. Their spectacular success owes greatly to the evolution of flight and their mastery of the aerial habitat. How do these tiny beings manage to fly faster than the eye can see, and to do so with extraordinary precision? What 'machinery' enables such sophisticated aerobatics, and how is it constituted? How did it evolve to its present state of sophistication? Biologists and engineers the world over are joining hands to answer these questions. 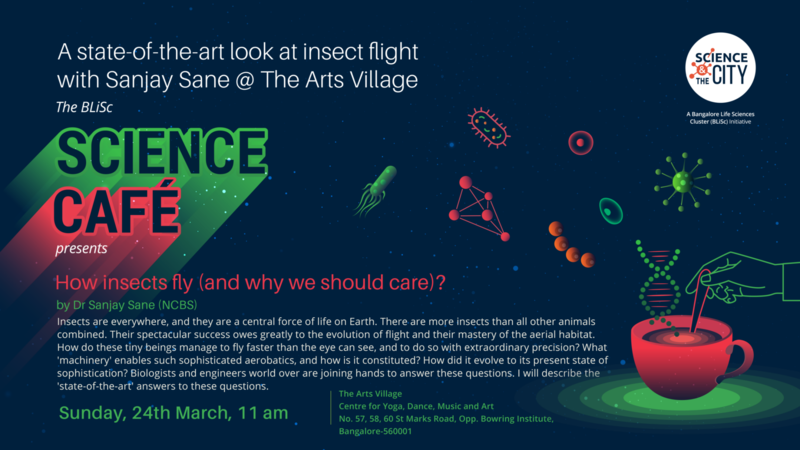 Dr Sanjay Sane will describe the 'state-of-the-art' answers to these questions.